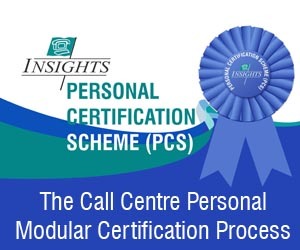 In order to assist Regional Call Centres with their journey towards world-class performance levels, INSIGHTS are offering a range of Call Centre audit services that will measure each call centres position relative to a World-Class Development Model that is based on differentiated standards (This should not be confused with standard benchmarking practices, the value of which has been discounted for may years). The World Class Development Model tracks all four strategic domains (People, Process, Technology, Relationships) along with the resources associated with each domain (human, financial, competencies etc.). Each Audit focuses on specific strategic and operational aspects to place the Call Centre on the Development Map. This allows managers, operators and leaders to develop plans and budgets to evolve the call centre towards world-class standards. This is the most basic Audit available. INSIGHTS will require soft-copies of various ACD reports along with other operational parameters. Upon receipt of the data, INSIGHTS consultants will formulate the data and analyse the Call Centre's performance. INSIGHTS' Chief Consultant will then prepare a report detailing his impression of the call centre operation and, based on the limits imposed by the data received, he will chart the Call Centre on the development model and make recommendations (if required) for short-term improvements. The KPI audit will examine operational areas such as service quality, efficiency, resources deployed/required and will comment on operational characteristics such as Average Handle Time, After Call Work, Service Level, Occupancy, Staffing levels, Scheduling and budgeting, in addition to operational, technological and resource interventions that could improve statistical performance if required. No world Class call centre excels on the basis of pure Customer Service. Customers are not really interested in Service. One of the most over-used statements in the world of customer service has got to be 'exceeding expectations'. Whilst the concept is valid, the wording is broad enough to provide for multi-dimensional warping and, at the end of the day, very few customers will walk out of a nice hotel declaring 'they exceeded our expectations'. Simplistically speaking, customer service means that the customer got what they wanted, when they wanted, how they wanted it, for the price they expected (or better). Customer Experience is more than service. Positive customer experience, in its most simplistic form requires that the customer enjoys interacting with your staff and that they are proud to say they deal with you. INSIGHTS have developed a customer experience mapping and evaluation product that adheres to international standards for customer experience evaluation, is congruent with Middle Eastern business and consumer practices and provides for Call Centre Development Mapping. INSIGHTS' Customer experience audit requires that one of our consultants visit your call centre to understand the service and the experience your customers are expecting, craving and receiving. The consultant will also require numerous, sample call recordings, email transcripts, call quality forms and customer complaints. The data will be translated, collated and formatted as required before being presented to our senior consultant for analysis. The end result will be a customer Experience Report from INSIGHTS' Chief Consultant, detailing the experiential performance of your centre, the developmental status of your experiential program and a set of recommendations for any improvements that are required. 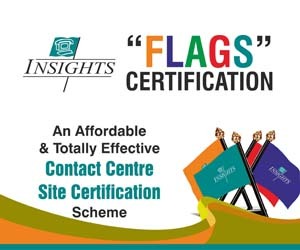 INSIGHTS has developed a Competency framework for Regional Call Centre Operations. The competency framework covers all levels of call centre operations from Call Centre Recruit to Senior Manager. The competency framework even covers the Operations Support functions such as call centre-specific recruitment and performance management competencies for Human Resource Departments, call centre-specific training, coaching and mentoring competencies for training departments. Other support functions include call quality, monitoring, technology, scheduling and planning. No operation can traverse the void from zero competence to full competence in one leap. Rather, the operation must build a series of bridges. These bridges must be carefully designed so that the management team are always aware of the call centre's present competency status (and the results thereby achievable), the next step forward in terms of competency development and the ultimate competency goal. Call centres typically work on a 3-5 year plan to cover all competencies at all levels of the organisation. The INSIGHTS' competency audit examines the present call centre operation and compares the present competencies to the internationally accepted competency frameworks for each level and each support function. The audit is conducted by an INSIGHTS' consultant, who will spend a number of days on-site, examining the call centre operation and estimating the competency levels. The consultant will then format the data as required for analysis by INSIGHTS senior consultants. The end result will be a detailed competency report, prepared by INSIGHTS chief consultant, detailing any competency gaps and assigning priority levels to the those gaps in order to ensure faster business gains. Where gaps are identified, the consultant will quantify the gaps along with a recommendation on how the gaps may be most efficiently bridged. (A call centre that has superb training competencies, for example, will deal with the gaps in a completely different way to a call centre with poor training competencies). The report will also plot the call centre on the INSIGHTS' Call Centre Development map. Many Call Centres are built with good strategy, good foundation and good operational processes. A good example of this is the number of organisations who stress that their call centre is a single-point of fulfilment. "Help is just a phone call away". The notion is that the call centre agents will do ANYTHING to ensure that the customer's needs are met. These same call centres often give their agents, seemingly incongruent and sometimes opposing objectives (for example, you MUST handle 200 calls per day). If a call centre hires the right people and nurtures them in a congruent environment they will naturally deliver world-class customer experience but if there is any lack of congruency in the management process then customer service and customer experience suffer. The INSIGHTS congruency audit examines the 12 core aspects of call centre operations as they relate to the People, Processes, Technology and Relationship strategies of the organisation. The results are compared with the specific management objectives and targets of the call centre. Congruency must be maintained at every level of the operation if customers are to enjoy a positive experience. This congruency begins with induction training and ends with each and every customer interaction, each and every employee exit interview and each and every employee review session. The INSIGHTS' congruency audit is one of our most advanced audit packages. Depending on the size of the call centre operation, at least 2 INSIGHTS consultants (1 senior, 1 junior) will visit your site and conduct a series of qualitative and quantitative investigations. The senior consultant will probably remain on-site for 3-5 days while the junior consultant will remain for a longer period. Once again, the junior consultant will collate and format all the required data so that INSIGHTS chief consultant can prepare a final congruency audit for the call centre operation. Once again, this report will detail congruency gaps, if any, along with details of the gaps and how they may be solved. In addition, the report will map the call centre's congruency on the INSIGHTS' development map. The Development audit is the most advanced audit package available on the market. The development package is a complete operational and strategic health check for the call centre. This audit package is a combination of all of the above packages which, if carried out concurrently, is far more cost and time-effective than consecutive execution. The end result of the INSIGHTS' development audit is a complete report detailing how every aspect of the call centre operation (There are 12 key aspects) may be improved, where it is currently on the development map and where it should aim to be. The development report includes recommended time scales so that call centre managers and senior managers know how long it will take (sometimes up to 5 years) to develop the call centre in the right direction without overstressing staff, customers or budgets and all the time, showing positive business returns. The development audit requires 2-3 site visits by INSIGHTS' senior consultants and longer periods of effort by junior consultants both on and off site. In the initial phase of the project, clients often invite INSIGHTS consultants to interview a number of staff who, if deemed capable, will carry out some work on behalf of INSIGHTS' consultants, thereby reducing costs. The end result of the development audit will be a comprehensive call centre development report (typically 80 ? 100 pages) along with a full presentation from INSIGHTS chief consultant to the organisational and call centre management team. The report package will also include a short-form presentation which the call centre management team can use in subsequent, internal meetings and planning sessions.